What do you do on a hot summer day when you want a cup of coffee but you don’t want to drink something with steam coming off it? You opt for iced coffee. Or do you? These days, iced coffee is giving way to cold brew in ever-increasing volumes. You might even say we are in the midst of a cold brew revolution that is threatening to unseat iced coffee entirely. Cold brew is not new by any means. It has been around for more than a decade, albeit mostly in the American Southeast. It wasn’t until a couple of major coffee chains began serving cold brew nationwide that the beverage took off. Now it’s on fire. Cold brew is offered at franchise operations and mom-and-pop cafés alike. That says nothing of the prepared beverage manufacturers who are bottling the stuff like water. Perhaps the biggest and most profound impact of cold brew on iced coffee is best expressed in terms of the beverage being consumed. 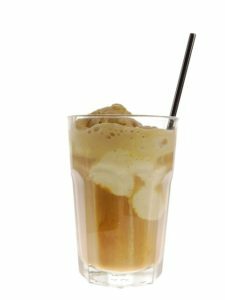 Iced coffee is typically prepared in one of two ways. It is either brewed hot and then chilled in a refrigerator prior to serving, or the hot coffee is poured immediately over ice and then served. Both methods have their issues. Hot brewed coffee is naturally acidic. The problem with brewing ahead of time and then chilling in the refrigerator is that the temperature change brings out even more acidity. People who prefer cold brew do not want the acid. As for pouring hot coffee over ice, the diluting effects of melting ice speak for themselves. Cold brew is entirely different because it is made by steeping ground coffee in room temperature water (it’s not really cold) for up to 20 hours. The time it takes to steep depends on the coffee being used and the flavor the brewer is looking for. As you can see, brewing cold requires a much bigger time commitment. The second significant impact is one of time. Because iced coffee can be produced relatively quickly, coffee shops and cafés don’t need to plan too far ahead in order to make sure they don’t run out. It is pretty easy to brew a pot of coffee and throw it in the refrigerator for a few hours to chill it. And if all else fails, just pour hot coffee over ice. Serving cold brew requires planning much farther in advance. Coffee may have to be prepared days ahead of time during peak season just to make sure the proprietor doesn’t run out. That means coffee shops and cafés have to have extra storage space as well. Lastly, iced coffee sales are falling in proportion to rising demand for cold brew. We would expect nothing different. Here at Galaxie Coffee, we have seen the trend ourselves. We know that cold brew is more popular than ever before, and we fully expect it to grow more popular this summer.